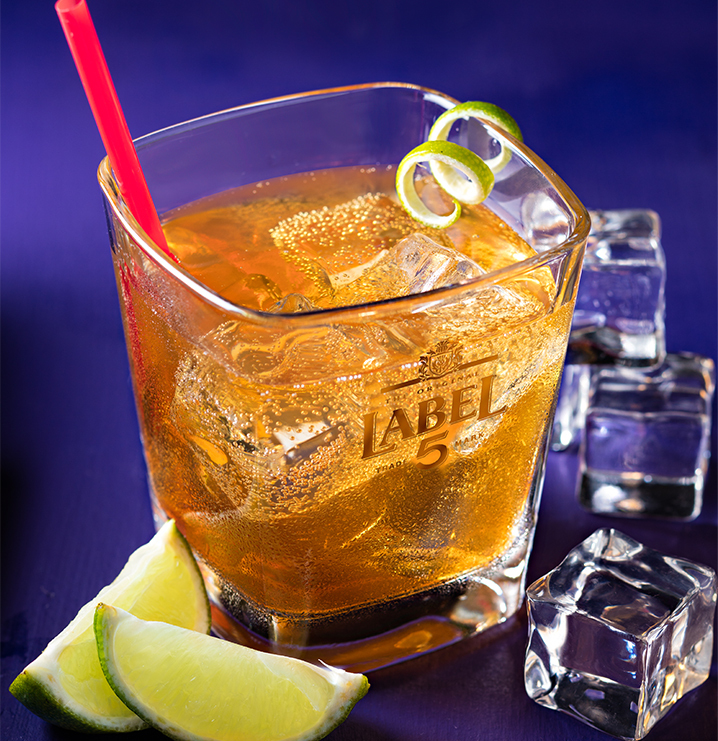 In a short drink glass filled with ice cubes, pour the LABEL 5 Classic Black, the lime juice and the sugar cane syrup. Stir it. Top with soda water and decorate with lemon peel.